KONP elected our first executive committee (EC) in December 2015 and new elections were held in June 2017 – subsequently they will be biannual. The Executive acts for the Steering Group between bi-monthly steering group meetings which are the sovereign, policy-making forum, with a delegate nominated from each of our 75+ local group. Our Executive Committee meets monthly to give continuity to KONP policy decisions and to maintain the momentum and efficacy of Keep Our NHS Public. We also have a very small part-time team of KONP staff. Here is a little bit about our EC and national team. Carol has been a member of KONP since 2013 and on the EC since December 2015. She is Secretary of Hackney & City KONP. She has previously worked both as manager and commissioner of community NHS and social care services. 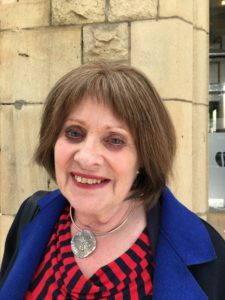 Since retiring, she aims to put skills developed deciphering NHS policy & directives to better use, helping to end privatization and save the NHS. Jacky is a member of Doctors For The NHS and a BMA Council elected member. She is an NHS consultant radiologist. Jacky is author and co-editor of NHS SOS (2013) and co-author (with John Lister and David Wrigley) of NHS For Sale (2015) – essential reading for all campaigners. She runs our KONP Twitter @keepnhspublic. Jacky is founder member of KONP from 2005. Max works part-time at the KONP office in Dalston, East London, ensuring the smooth running of KONP. Pete is a member of Shropshire Defend Our NHS. Tom joined the KONP team in June 2018 working part time as our Campaigns Officer to lead our national efforts to build KONP and HCT campaigning and influence. John Lister is a founder member and co-chair of KONP and a co-founder of the Health Campaigns Together initiative in 2015, for which he edits the website and quarterly newspaper, now in its third year. 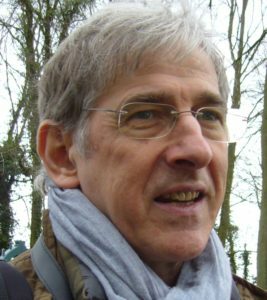 He has been a journalist since 1975 and became Information Director/researcher for pressure group London Health Emergency in 1984. There he developed the first evidence-based critique of controversial policies of privatisation, austerity cutbacks and introduction of competitive market reforms to the British National Health Service. He still holds that post. John achieved a PhD in health policy in 2004 and authored books on global health policy (2005 and 2013) and England’s NHS. He was an associate senior lecturer in Health Policy, Journalism and Health Journalism at Coventry University 2004-2013, and played a leading role in the 7-country EU-funded HeaRT (Health Reporter Training) project from 2010-2012. Still teaching on health modules and journalism, John has been a member of the National Union of Journalists for 43 years, and is a member of the Medical Journalists Association. He edited and contributed extensively to the first-ever e-book on health journalism First do No Harm (2014). 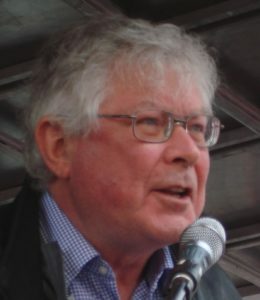 John was a member of the People’s Inquiry into London’s NHS which he organised for Unite the Union, publishing London’s NHS at the Crossroads March 2014 and updated Summer 2015. He was also centrally involved in a wider, national study of all 44 Sustainability and Transformation Plans (Spring 2017), and a further updated study (summer 2018) of what has happened with STPs in the East of England – awaiting publication. 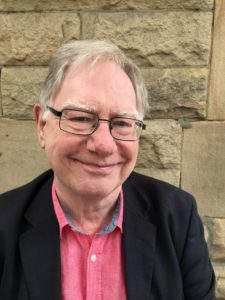 John has written extensively on the history of the NHS (1988, 1998) including an award-winning book in 2008 and in 2015 he also collaborated with Jackie Davis and David Wrigley to update the analysis in NHS for Sale. For more detail and John’s achievements internationally please see his full bio. Tony is a member of Save Lewisham Hospital Campaign (SLHC). Before retiring he was consultant paediatrician in childhood disability in Lewisham. He has been a member of KONP since December 2014. Tony has served as co-chair of KONP since December 2015. He is a founder member of Campaign for the NHS Reinstatement Bill since June 2014, and attends Health Campaigns Together meetings as the delegate for the NHS Bill Campaign as well as for SLHC. He is vice-chair of Health Campaigns Together since April 2018. John is chair of Leeds KONP which he helped set up in 2011. He is a retired paediatrician who specialised in gastroenterology and nutrition at the General Infirmary in Leeds, where he was secretary to the Senior Medical Staff Committee and chairman of Leeds West Research Ethics Committee. John worked as an NHS doctor for 40 years. He is a member of ‘Doctors for the NHS’ and ‘Doctors in Unite’, he joined the EC as KONP Secretary in June 2017. Sue is a member of Islington Keep Our NHS Public. Wendy Savage was born in South London in 1935. 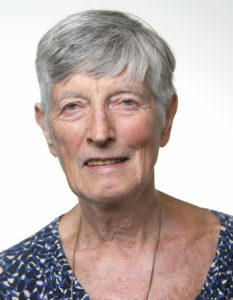 Educated at Croydon High School for Girls and Girton College, Cambridge, she started her clinical training at the London Hospital Medical College in the East End of London in 1957. Qualified from Cambridge and the London Hospital Medical College in 1960. Worked in the USA, Nigeria, Kenya before obtaining MRCOG in 1971. Went to New Zealand as specialist in Obstetrics, Gynaecology, Venereology and Family Planning in 1973. In 1977 became Senior Lecturer in Obstetrics and Gynaecology and Honorary Consultant at the London Hospital Medical College. In 1985 elected Fellow of the Royal College of Obstetricians and Gynaecologists during suspension from practice on false charges of incompetence. Reinstated in 1986 as Honorary Consultant at the London now Royal London Hospital. Became Honorary Visiting Professor at Middlesex University in November 1991 to date. In 2000 Wendy was presented with an Honorary Degree of Doctor of Science at University of Greenwich. She retired from the Medical School of St Bartholomew Hospital and the Royal London Hospital on 30 September 2000. 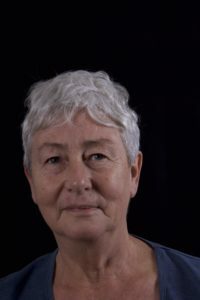 Wendy is a founding member of KONP from 2005 and is our honorary Life President in recognition of her great and vital contribution. For more of Wendy’s achievements and a list of her books please see her full bio. Terry is a member of Stockport Defend The NHS and Greater Manchester KONP. She has been on the KONP EC since December 2015. Terry has launched our ‘KONP Patrons’ since December 2017 and leads the search for new Patrons. Keith Venables is a member of Amber Vally KONP. He is a retired Principal Psychologist, trade union tutor and socialist activist who joined KONP in 2014 to promote the values of the NHS. He served as co-chair of KONP for 18 months to July 2017. 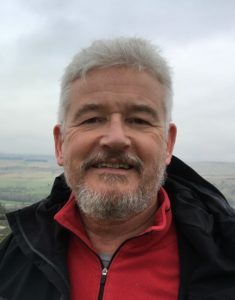 Keith helped set up the growing alliance – Health Campaigns Together – Autumn 2015, acting as chair until April 2017 and then was elected as its first secretary until April 2018. He has a special interest in the relationship of health campaigning to the Labour Party and the TUC and trade union movement. Samantha is one of the founding members of Swindon Keep Our NHS Public where she has proved herself to be an excellent health campaigner. 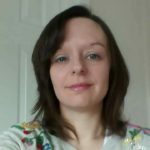 Samantha joined National KONP as our part time Media Officer in April 2018.